How much did you get hold of it? 前の投稿Hiro 3 Winter Clothings次の投稿What do you need except a rabbit and the colorful eggs? I began to get used to my new computer. Don’t know if you have seen this thread but @Renderosity, Monkeycloud is making Pippin into a space baby. *smile* Everyone loves her. Oh 😮 I didn’t know that thread, and I don’t understand well what they are talking about. About animating with Poser? Monkeycloud’s space-suit looks superb 😀 I wish that he/she make it a Poser freebie. You can animate with Poser and if you look at the links thinkcooper attached to his posts (RWBY White Trailer is one) in this thread you will see some nice animations…my teenaged twin sons loved them. And I watched the animation of the link now. I don’t know whether making an animation with Poser’s cartoon rendering brings a good result. Because I have not made an animation at all. I added MonkeyCloud’s Rocket Bairm. Although he seems to make more item of the series. I found a new character “Pippin_Emma by Darkangel75” for Pippin at the Rederosity’s free stuff area. Sanbie made an outfit for Pippin! But, I do not create an account of a new community for some reason. Thus I couldn’t read the content of that url. I saw Sanbie’s freebie room. But It was not there, yet. 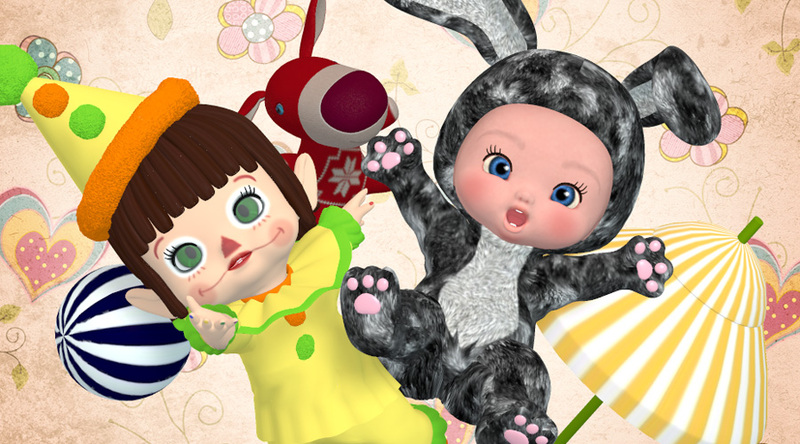 “Flower Hat for Pippin” by Trumarcar, and “Phineas Junior” for Pippin by Toyyaris. Wow! I can’t wait to see it 😀 Pippin has a rich wardrobe! I found the fit-pose of a hat prop for Pippin by mmalbert. It is in Renderosity’s Free Stuff Area. The url of “Tulip Hat with Hair (V4) by 3574” is in the readme file. Rehder uploaded a boat for Pippin in Free Stuff Area 😀 Very beautiful! 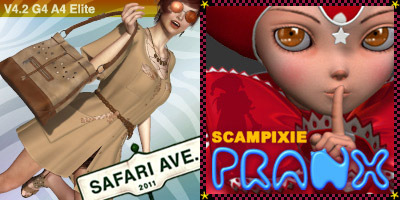 I found more items for Pippin at Renderosity Free Stuff Area. mmalbert’s Clowning textures for Pippin Clothes. And Cutie Pie Cap Fit by tiggersprings 🙂 They are very lovely! Wow 😯 Five items for Pippin were added at KCTC! And “Elf Boots” and “Little Cupid” were updated. The cute elves for Pippin were uploaded on KCTC 😀 Christmas Cuties – Chris and Christa by Toyyaris. Thank you!